If life hasn’t thrown you a few curveballs over the years, you probably aren’t doing it right. Who wants to tread the straight and narrow route down a predictable path when a few diversions here and there can liven things up? If any band knows a thing or two about curveballs – and, more crucially, how to knock ‘em out of the park – it’s Glasgow hard rockers Gun. 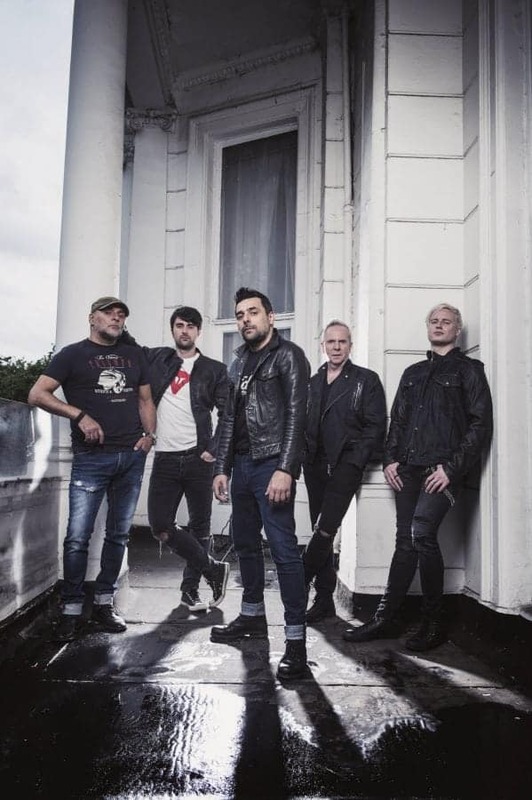 Hit albums and singles, break-ups, line-up changes… Gun have done them all and more, and at each turn have come back stronger. 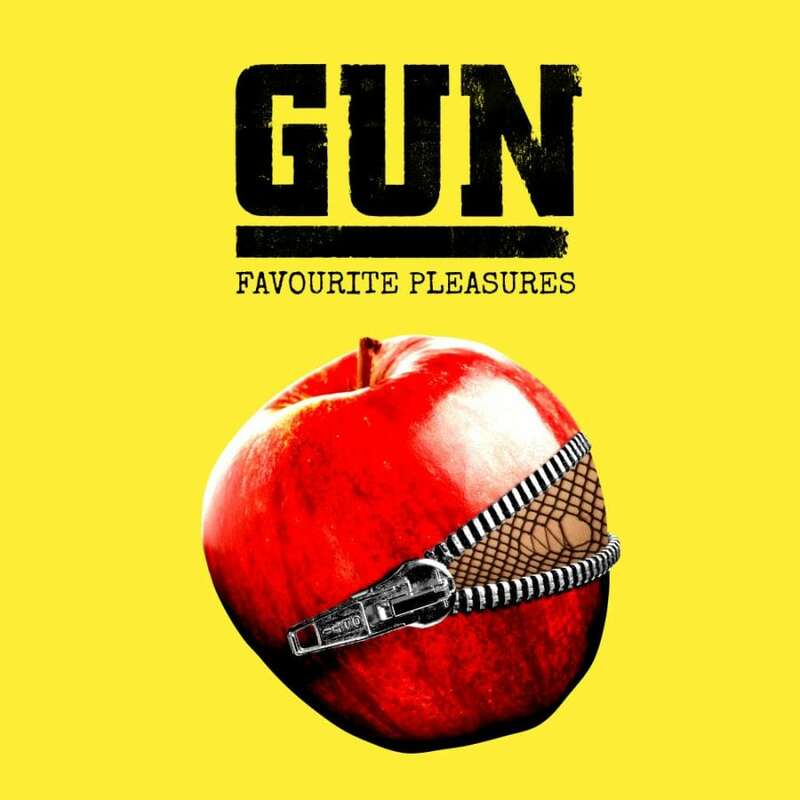 We spoke to Gun frontman Dante Gizzi on the eve of the release of their seventh studio album, Favourite Pleasures, to see how life is treating the scuzzy five-piece. What can fans expect on your upcoming tour? Any surprises in store? DG: Yeah I think the fans will be quite surprised with the fact that we’ll include a lot of the lesser played songs from previous albums. I think it’s good to change it up a bit. We’re at this moment in time working on the new stuff in rehearsals and we think the fans are gonna love the vibe, as well as playing all the old classics of course. Are there any dates you are particularly looking forward to playing? DG: Glasgow Barrowlands is always such an incredibly special affair. It’s very difficult to describe the atmosphere in words. Home gigs are always electric and there is nowhere else that comes close to it. You need to experience it to believe it and then you’ll understand where I’m coming from. The minute you hit the stage to the last note you find yourself in such a high and the rush is so intense that you really need to control yourself as you have a tendency to get carried away with the crowd. The only problem is it has to finish at some point. How would you describe the experience of recording Favourite Pleasures? DG: We recorded the album in our own studio which had just been built at the time. We felt like we were the guinea pigs in a way going through the trial and error process. We had a lot of fun recording but we also had the added advantage of being able to go at our own pace which was something we weren’t that used to. At times when we were recording the vocals I found it quite tiring and normally in the studio you would have to battle through and try and give all you can. Instead we’d call it a night and resume the next day. That’s a luxury in the sense that you aren’t running up costs as the clock is ticking and you need to deliver by a certain time. That’s why I think the vocals I’ve delivered on this album are one of my best to date as I was so relaxed. When did the writing process begin? DG: The writing probably began just around the beginning of 2016. Are there any tracks on the record you are particularly proud of? DG: It sounds like a cliche but I’m proud of all of them. If you’re asking if I have a favourite then it would be between ‘Silent Lovers’ and ‘The Boy Who Fooled The World’. Is there a particular meaning behind the record title? DG: I wouldn’t say so. We always kind of like to go with a track on the album that lends itself well to the title. It was the most apt title to go with in that it’s what we do, what we love more than anything. Creating music is the best pleasure ever as cheesy as that may sound, it’s so true. If I didn’t have music in my life I honestly wouldn’t know what to do. What were you listening to while recording this record? DG: There was lots of stuff. As we started writing at beginning of 2016 it was just around the time of David Bowie’s death. Jools and I were completely shocked and stunned. Someone who’d had a massive influence on your song writing had gone. We ended up going back and checking out his back catalogue, reengaging in a lot of his work. It’s just amazing to hear someone transform themselves physically as well as musically, constantly reinventing his style but to be able to always have the songs to back it up is truly an amazing feat. There really isn’t anyone quite like him. Besides records, what have been some of the key influences and themes on the new album? DG: I suppose lyrically this has got to be the most honest and open I have been on any album. I was going through a really big breakup with someone I had spent half my life with, had three children with, and this all happened at the beginning of recording it. I felt that if I opened up to the world and sang about how I truly felt it would offer me some sort of solace. Kind of like a musical therapy. I wouldn’t want to talk about it to family and friends but if I could just get it across through the music I knew it would help. How is life treating you on Caroline International? DG: Yeah we are very happy to be part of Caroline. There aren’t many labels that give you the opportunity to be able to create and allow you to take your time in exploring your creativity. We have a very healthy relationship and long may it continue. Favourite Pleasures is out on 15th September through Caroline International. Gun will perform their album launch show launch at The Big Red, London (385 Holloway Road) on September 12th. Doors 6pm, stage time 7pm.